As the founder of the renowned crafts and notions store, French General, Kaari Meng scours the French countryside and Parisian flea markets for vintage treasures. 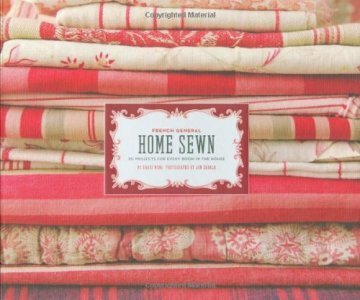 Now, this beloved designer has gathered her favorite patterns into a charming sourcebook sure to be coveted by crafters, Francophiles, and home decorators. She offers 30 simple sewing patterns for French-inspired projectsa scalloped tablecloth, piles of pillows and bedding, a festive party garland, totesand more. Lay-flat spiral binding and ready-to-use pattern sheets and embroidery transfers, plus step-by-step directions, gorgeous photographs, and helpful illustrations make it easy to bring the palettes and pleasures of traditional French living into any home.